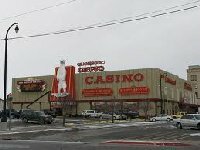 The Northern Star Casinos group owns and operates six casinos in northern Nevada that they describe as "soft country" kind of look and feel. Their goal is to create a warm comfortable atmosphere reminiscent of 60's Las Vegas. The guiding principal is to deliver a quality experience to the customer. Not much is know about the owners this business.